Big news – we are DELIGHTED to announce that we are publishing Skinny Lister who have a new album ‘The Story Is…‘ released on Xtra Mile Records on 1st March. We’ve long been fans, so it’s an honour to get to work with one of the most hardest working bands, whose considerable efforts were recognised by the PRS who awarded them the ‘Hardest Working Band‘ accolade. Take it as a forewarning, for the London sextet Skinny Lister return with their long-awaited fourth studio album ‘The Story Is….’, a record set to drop from Xtra Mile Recordings silo on 1st March 2019. But it was of course, just that. Whilst it might not go down as a red letter day for the Hawaiian authorities, Skinny Lister fans can rejoice as this episode arrives transformed some months later into an ebullient new single ‘38 Minutes‘ and the first to emerge of many stories that make up their imaginative new album ‘The Story Is…’. From tales inspired by the minutiae of our day-to-day lives to paranoid ruminations of impending apocalypse, ‘The Story Is…’, sees Skinny Lister deliver their most lyrically and conceptually complex offering to date. Coupled with a veritable sonic smorgasbord of new sounds and song-craft, there are plenty of tell-tale signs that ring true of a band on stimulated form and at the top of their game. From the new wave nuances of The Jam’s classic output (‘Cause for Chorus’) to vintage ska-janglings (‘Second Amendment’), not to mention lashings of the band’s trade-markedly barnstorming folk-punk too (‘Rattle & Roar’, ‘Sometimes So It Goes’), the sextet’s latest release not only sees them expand their horizons but arguably finds them in the most potent pop form of their career. But the story doesn’t end here. 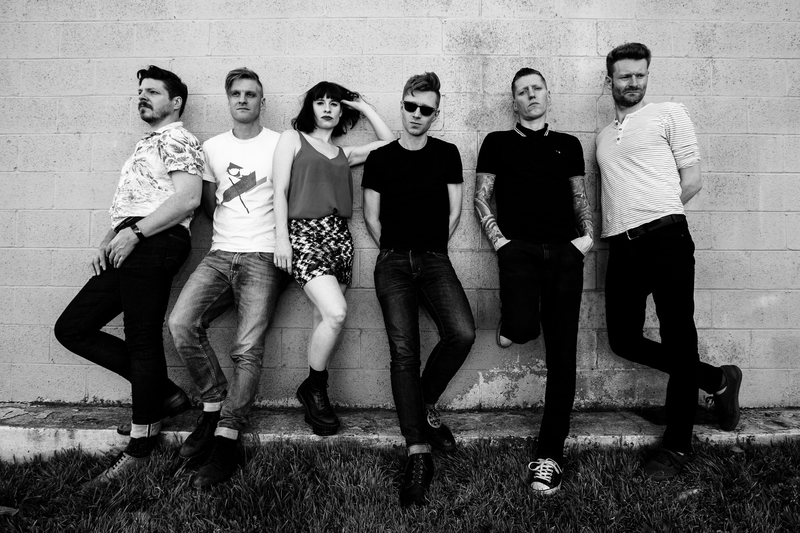 With one of the most reputable live shows in the business (hailed as “a deafening and visceral experience” – The Independent, 5/5), Skinny Lister will also be touring ‘The Story Is…‘ with a series of their tenacious live shows across the UK & Europe in 2019.